How Much Does it Cost To Fly To Marseille? The cheapest flights to Marseille found within the past 7 days were $466. Prices and availability subject to change. Additional terms may apply. Vacationing in France is the trip of a lifetime for many travelers. And one of the most desirable destinations in the country is the city of Marseille, located in the captivating Provence-Alpes-Cote d'Azur region. Set right on the French Riviera, the sparkly seaside town draws in jet-setters from around the world, and the colorful streets and shopping areas make it an exquisitely romantic place to visit any time of the year. Flights to Marseille arrive in Marseille Provence Airport (MRS), located just 27 km northwest of town. From there you can travel into the city center to discover all there is to love about this magical city, widely regarded as one of the most important cultural capitals of France. 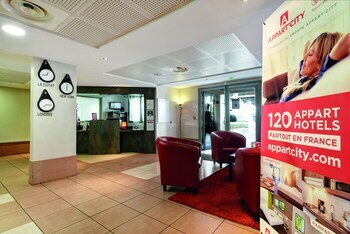 You'll find it's super easy to get to and from Marseille from the Marseille Provence Airport. Once you've booked your Marseille flights, check out the public train and bus schedules into the city. The train stop is within the terminal and you can find the buses right outside the airport. Many people prefer to rent a car once in order to have transportation to navigate the area on their own. 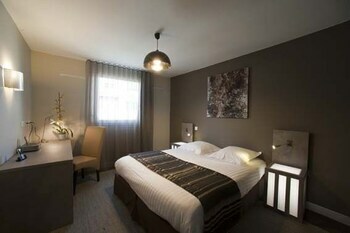 You can find great hotel deals in Marseille near the airport, which will make your travel even more convenient! Once you're settled in your hotel, you'll find it easy to get to the city's main attractions, such as the beautiful architecture of the Joliette area, and the beautiful seaside roads and beaches. This is a great place to travel no matter whether you are with friends, on a romantic getaway, with a big family or flying solo! The beautiful, sun-drenched beaches are the perfect places to relax and melt away your worries. You can find cheap airfare to Marseille here on Travelocity. 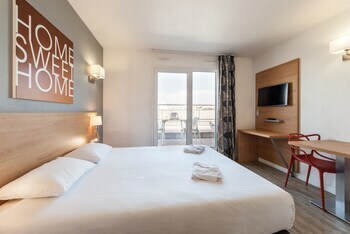 It's worth it to look at our deals on vacation packages in Marseille as you can save up to $537 when you book your hotel and flight with us at the same time.